Product #21821 | SKU SBACUS30 | 0.0 (no ratings yet) Thanks for your rating! 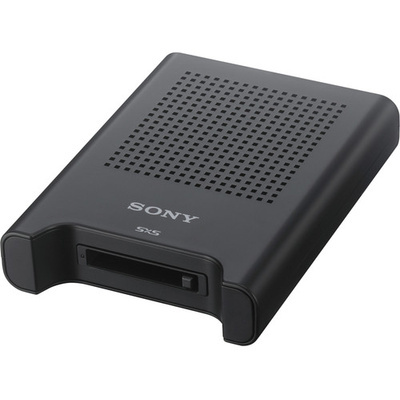 The SBAC-US30 USB 3.0 SxS Memory Card Reader from Sony enables you to transfer files from your SxS memory cards to your computer and vice-versa if your computer has no ExpressCard slot. The reader itself is equipped with an ExpressCard slot, and connects to your computer via the USB 3.0 interface. The SBAC-US20 offers read/write speeds of up to 800 Mb/s for SxS Pro and SxS-1 cards, and 1.3 Gb/s for SxS Pro+ cards. No special driver installation is required except for the SxS UDF driver necessary to recognise UDF formatted memory cards. As it's USB bus-powered, the reader requires no AC adapter. The SBAC-US20 accepts optional Sony ExpressCard adapters for reading XQD (QDA-EX1), SD (MEAD-SD01) and MS (MEAD-MS01) media.